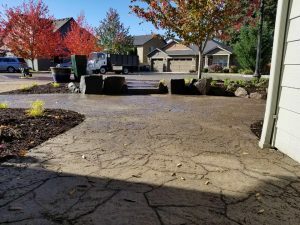 The patio and landscaping is mostly complete. Note the pots which serve as a focal point in their front yard landscaping. 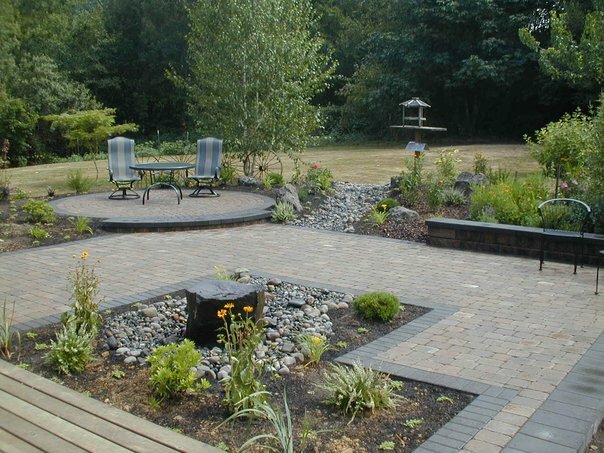 This was designed for outdoor living in Vancouver Washington. 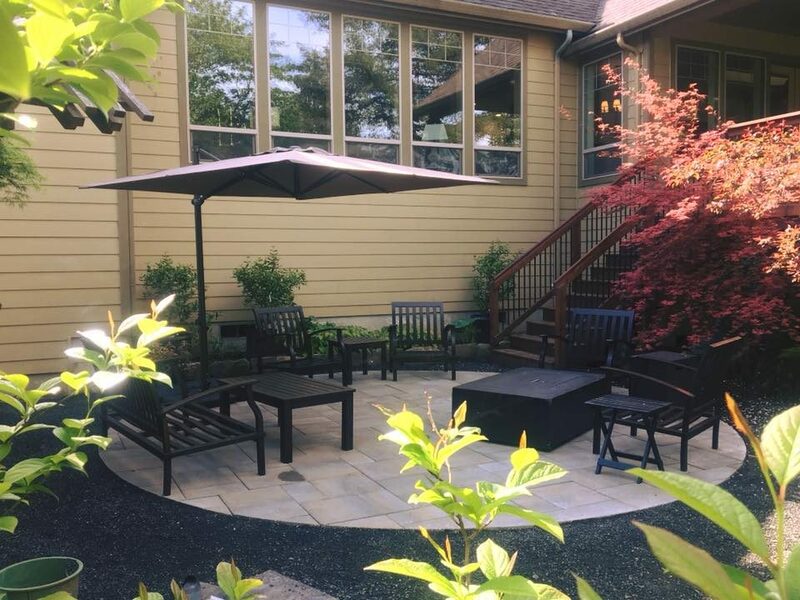 While it is rainy and wet at this moment, that should not stop you from thinking about outdoor living in Vancouver Washington. 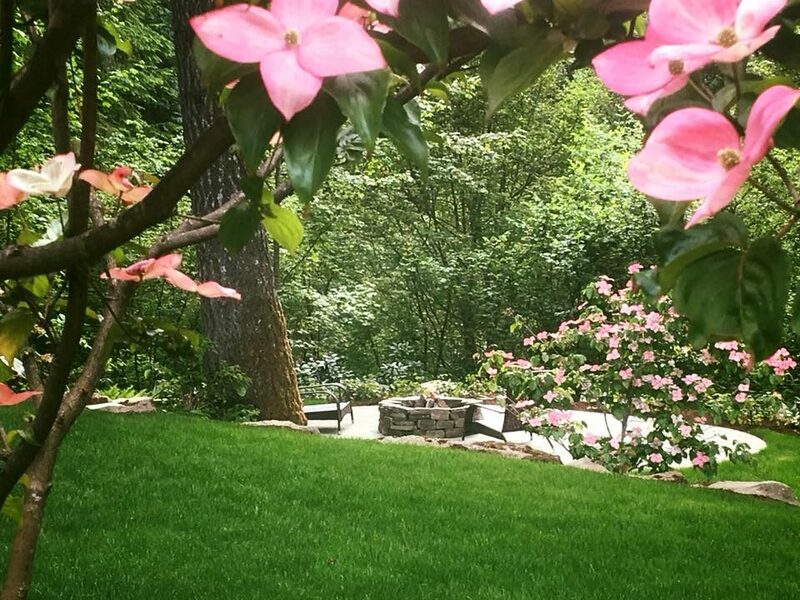 When I say outdoor living, many of our clients think it has to be over a large area. That is not true. 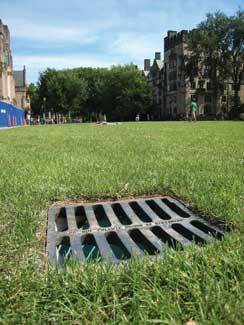 It could be just a small patio in the front like the photo above. 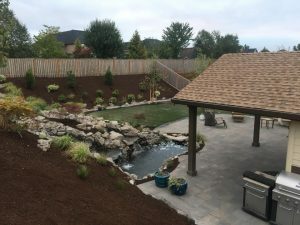 Maybe it’s a complete backyard landscaping including a large outdoor living area like the photo below. 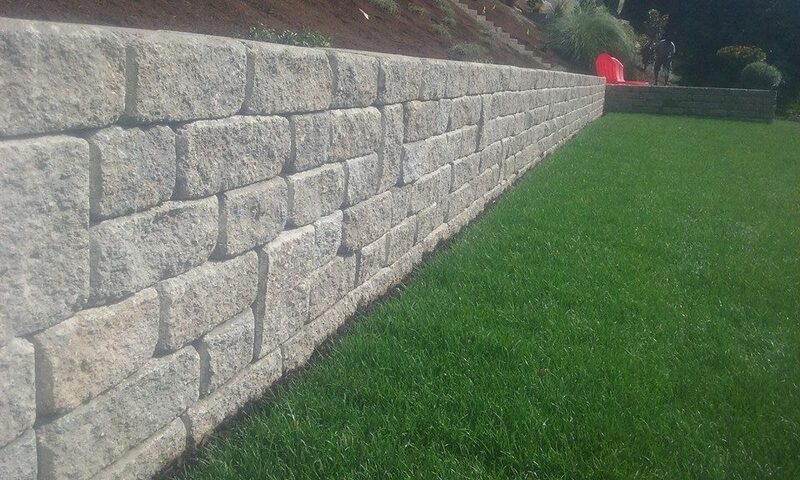 Having a new sod lawn may be all you need for your outdoor living area. 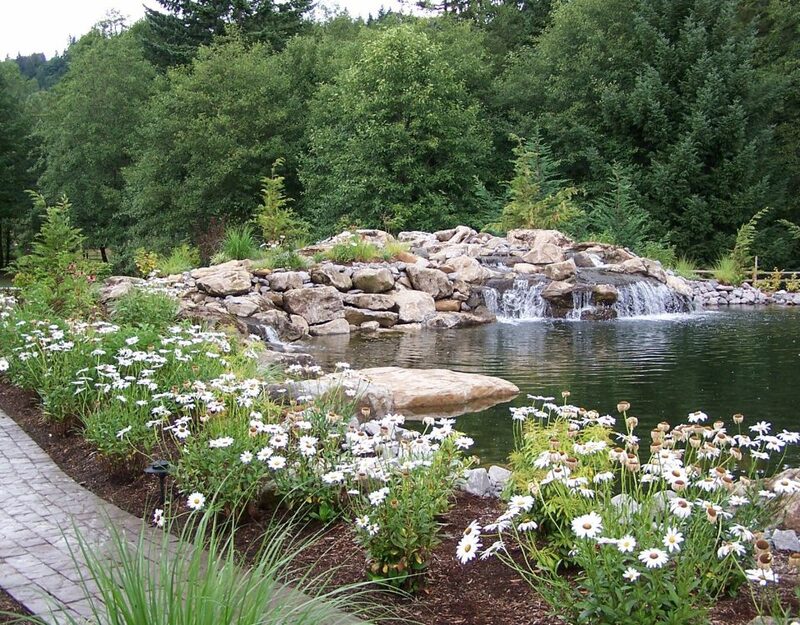 We want you live your landscaping dream. 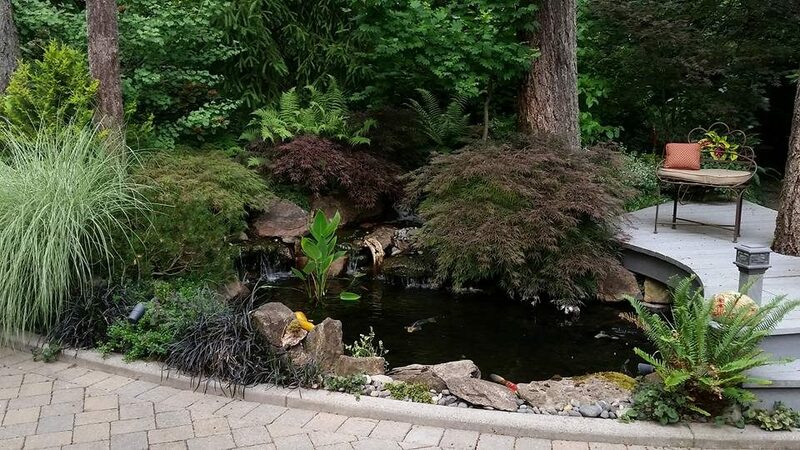 This photo gives a view of the pond, paver patio and most of the backyard outdoor living project we built. 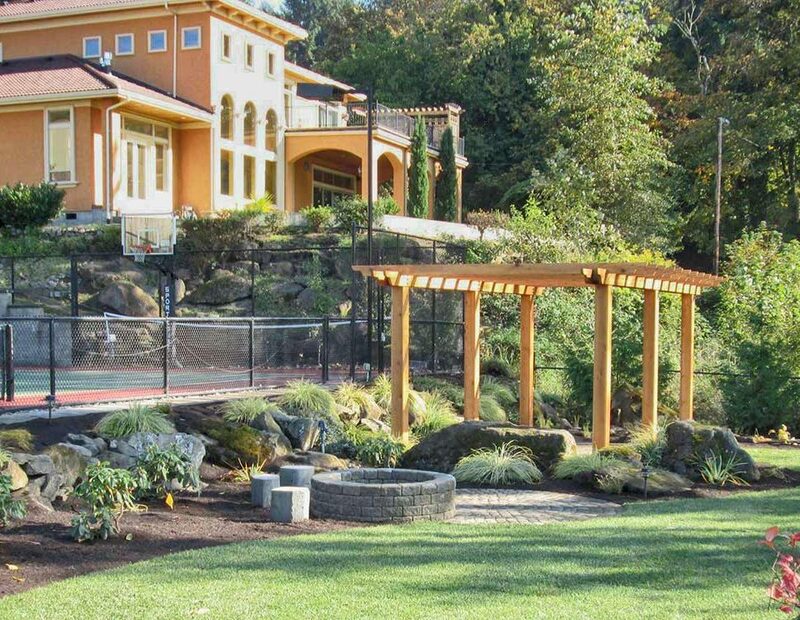 Many outdoor living areas we have built are not that large. Many times just a small patio with a small water feature will be perfect for our clients. 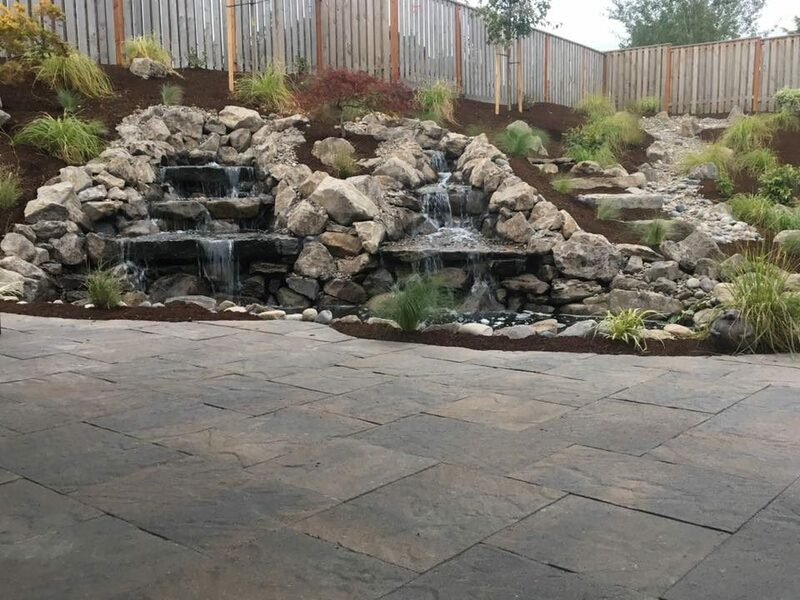 Usually outdoor living areas include a paver patio that is large enough for entertaining, a covered area, lighting and some sort of water feature. The idea is to utilize that area for family or entertaining. Below is a video showing many projects we have built over the years. Some are big and some are small. The question is: What are your wants and needs? 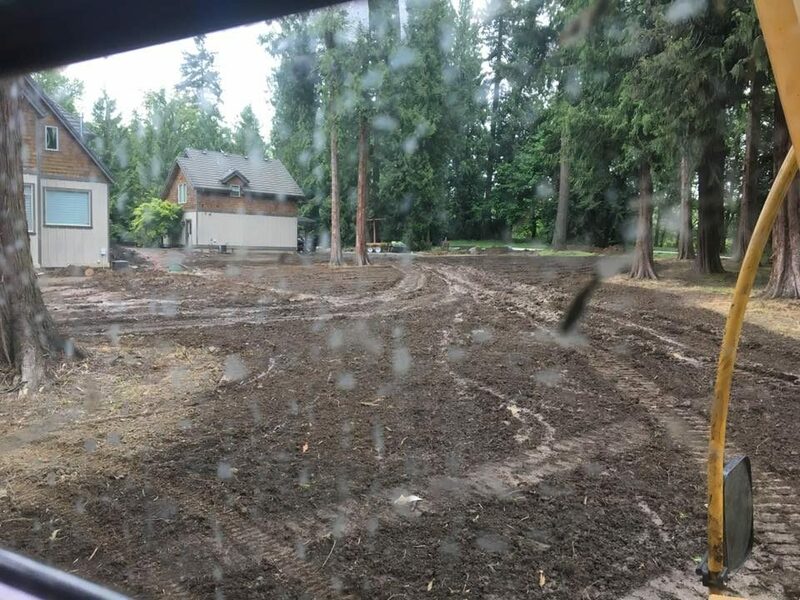 Our office phone is 360-687-1882 to schedule a landscaping estimate. Feel free to visit our website which is below and use our easy to fill out contact us form.